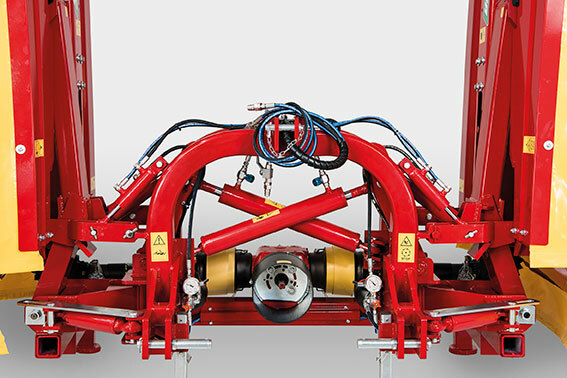 WINGS COMBINED DISC MOWER: WORKING AND PRODUCING WITH SATISFACTION. 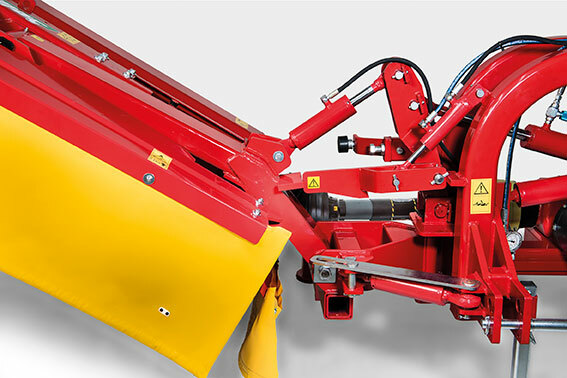 The combined mowers WINGS-D680 and WINGS-D680GM consist of two side 6-disc cutting bars, while in the models WINGS-780 and WINGS-780GM the cutting bars are equipped with a 7-disc cutting system. While work is in process, these machines are combined with a front mower. 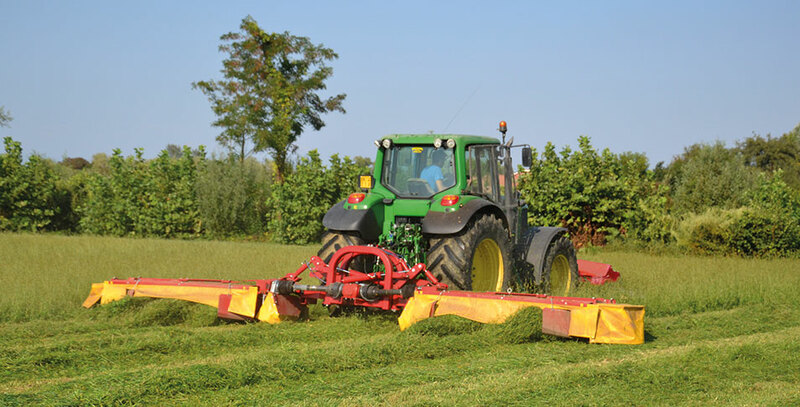 The distinguishing feature of this series is the high productivity allowed by the possibility to mow the yield up to a width of 7.8 m. The versions WINGS-D680GM and WINGS-780GM are equipped with a rubber roller conditioner, which allows reducing the drying and haymaking times. MOVING FREELY WHERE WORK CALLS. 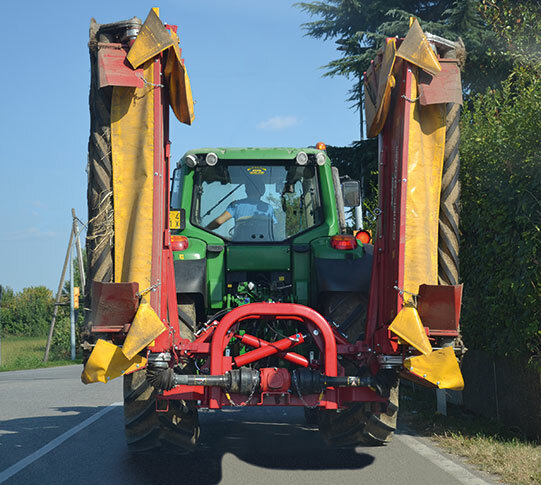 For road transport of your mower, the side elements are lifted by means of hydraulic pistons. 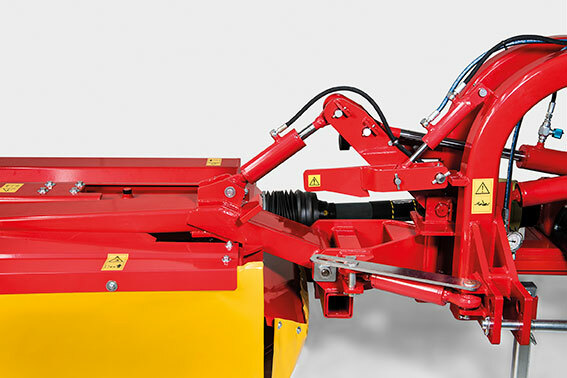 An additional mechanical device prevent the mower to fall down in case of breakage of the hydraulic circuit. A SOUND FRAME THAT ENSURES A PERFECT COORDINATION AM ONG THE PARTS. During work, the safety device should be properly positioned, as shown in the picture. 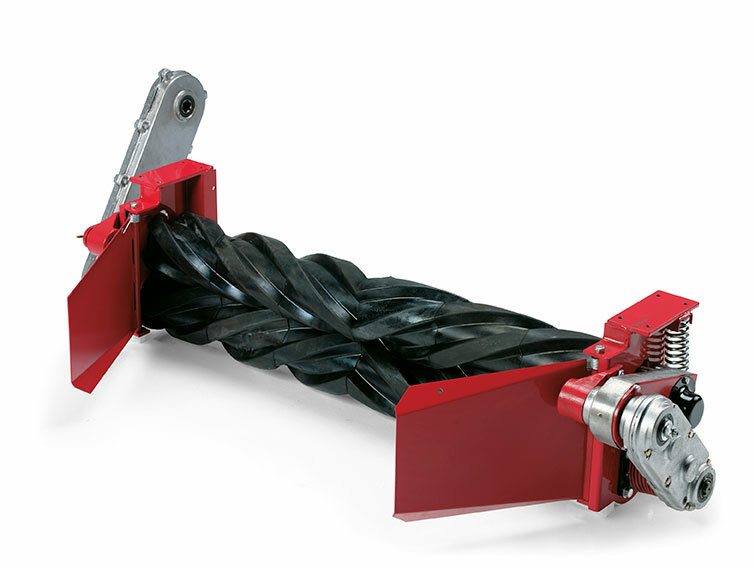 This mechanism also allows you to go on working by lifting just one of the cutting bars. 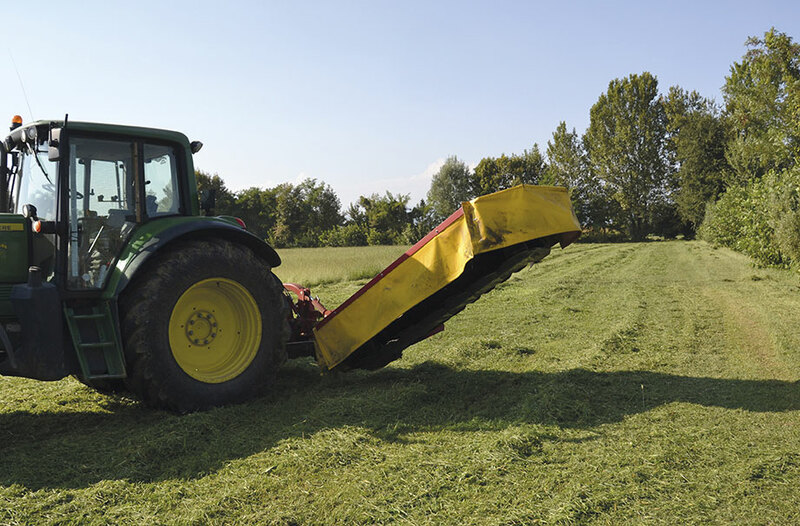 During the displacement manoeuvres, the same safety device prevents the mower from rising beyond 35° so as to protect the integrity of the universal joint. THE DECISIONS THAT INCREASE PRODUCTIVITY.